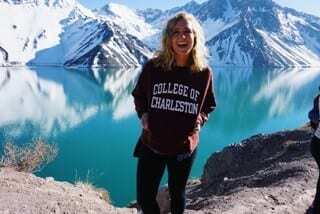 A double major in Spanish and International Studies with a minor in Linguistics (’19), Jenna McLaughlin is also a member of the National Collegiate Hispanic Honor Society, the Phi Kappa Phi Honor Society, and she served as a Spanish Peer Teacher (2016), a CofC Spanish Tutor (2016-17), Secretary for the Special Needs Peer Helper (2015), and Team Captain for Relay for Life (2015), among other activities. In the spring of 2018 she studied abroad in Seville, Spain, and in 2016 she traveled to Honduras and Mexico to volunteer as a Spanish/English Interpreter with Torch Missions and Campus Church respectively. Jenna also worked as a Spanish/English Medical Interpreter at Cahaba Valley Healthcare in Birmingham, AL in 2015. I have thoroughly enjoyed my time as a Spanish Major at CofC. Spanish has always been one of my favorite subjects, and the professors here at the College really helped me refine my skills and feel completely prepared to study abroad in Seville, Spain. 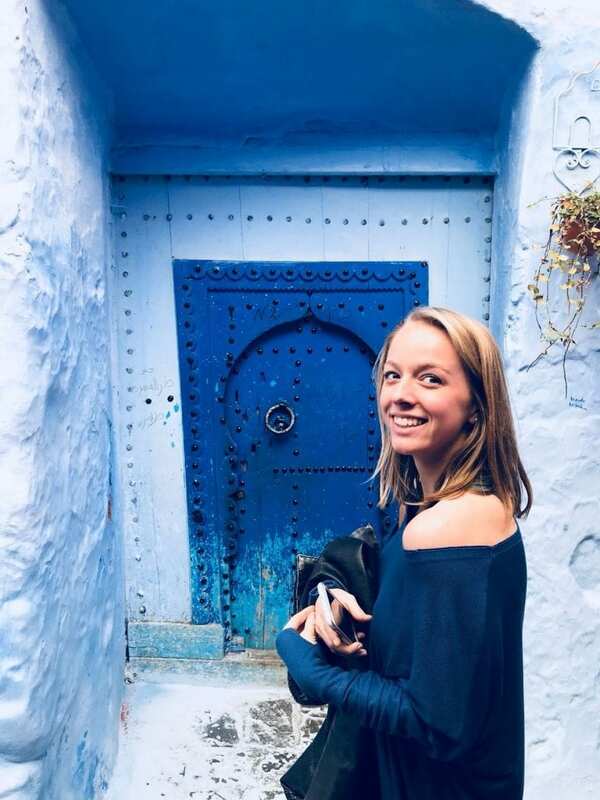 Studying abroad is an enjoyable, empowering, and enlightening experience that I would recommend to any younger student, especially those who are interested in learning about language and culture! One of my favorite parts about being a Spanish major is the freedom it allows me in my post-grad plans. In these past four years as a Spanish major at College of Charleston, I have had the ability to cultivate a skill that I can take with me in all of my future occupations! Coming into college, I had no idea what I wanted to pursue as an occupation, so I’m really thankful that my Spanish major has provided me with the flexibility to take the skill of bilingualism into a variety of areas. From May 17 to June 15, Drs. Alwine and Flores will lead students on a study of the sites and scenes of ancient Greek civilization. 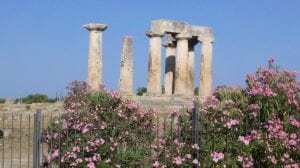 Their travels will take them to expected places essential for any first-time experience (Delphi, Olympia, Athens, Mycenae), but will also include time in the northwestern section of the country around Preveza/Actium. Interested students are encouraged to contact Dr. Alwine or Dr. Flores, and to visit the ‘CofC Greece 2018‘ Facebook page. Help the English Language Institute to Bring Students from Japan! The College of Charleston English Language Institute (ELI) hosted a professor, Kayoko Takegoshi, from Japan’s Toyama University during the fall of 2014. She met our students and faculty, attended our ESL classes, toured the campus and city, and returned to her home university to arrange a “CofC ELI short term program” for her sophomore students. She anticipates that 4-5 students will be interested in attending the English Language Institute from August 24 – September 25, 2015. This is a summer break for Toyama University students, so it is the only opportunity for them to study abroad. As student housing is at a premium, especially at the beginning of the academic year, it’s not possible to lodge these students in the CofC dorm. Therefore, the CofC ELI program has launched a homestay program and is in the early stages of recruiting individuals, couples and families who would be interested in hosting a Japanese student for 5 weeks. For families with young children, this can be a life altering experience as children of all ages benefit from interacting with people from other cultures, and through this process, learn tolerance and other essential qualities of becoming global citizens. These students are university sophomores and are independent adults. Ideally, the homes would be within walking or biking distance from the CofC campus so they could come and go on their own. Students attend ELI classes M-F from 8am-3pm, depending on the day, so they would purchase a meal plan to cover breakfasts and lunches. Dinner would be prepared at home. Host families would be adequately compensated for hosting a student, and would be expected to include the student on any appropriate family excursions during the weekends. As English language acquisition is a primary goal of the students, involving them in English conversation in the family setting would be strongly encouraged. If you are interested in learning more about the CofC homestay program, please contact Alice Hamilton at hamiltonam1@cofc.edu by April 20, 2015. Summer 2015 courses now posted. Summer Courses have now been posted. Please visit the Courses tab within this blog. Please note that March 15 is the deadline to Study Abroad in Barbados this summer with Dr. Anthony Greene and Jon Hale! Check out the Tumblr page from last year to see what the experience is like. This story has been republished from the College Today article. 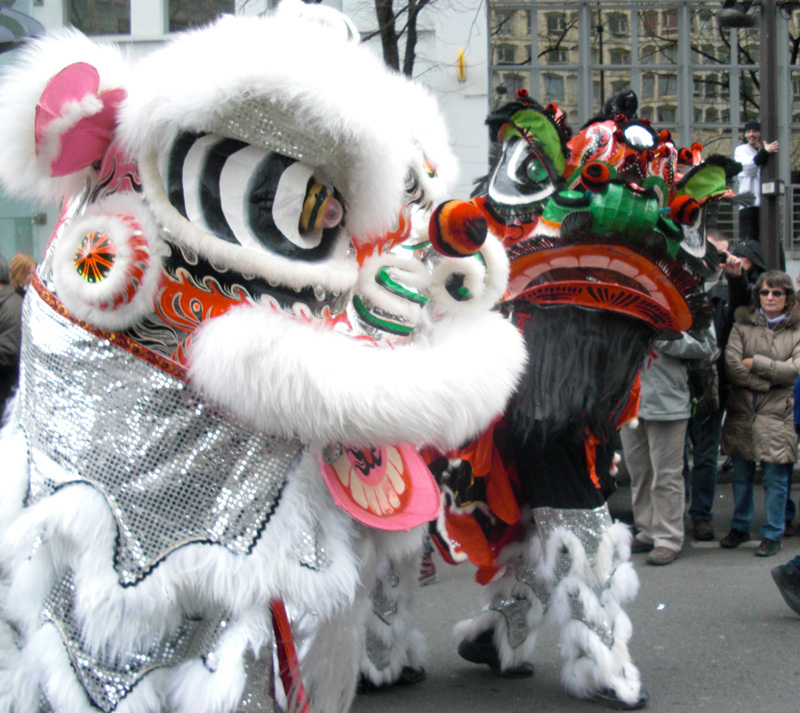 Chinese New Year begins Feb. 19, 2015. Originally based on the Chinese lunar-solar calendar, the holiday is celebrated in many Asian countries over several days. The holiday, also known as Spring Festival, is traditionally celebrated by families coming together to renew ties. Each Chinese New Year is assigned to one of 12 zodiacal animals, with 2015 being the Year of the Sheep. Millions of people will travel from major Chinese cities to celebrate the holiday with their families. LINK: View a heat map showing the massive amount of travel that occurs during Chinese New Year. 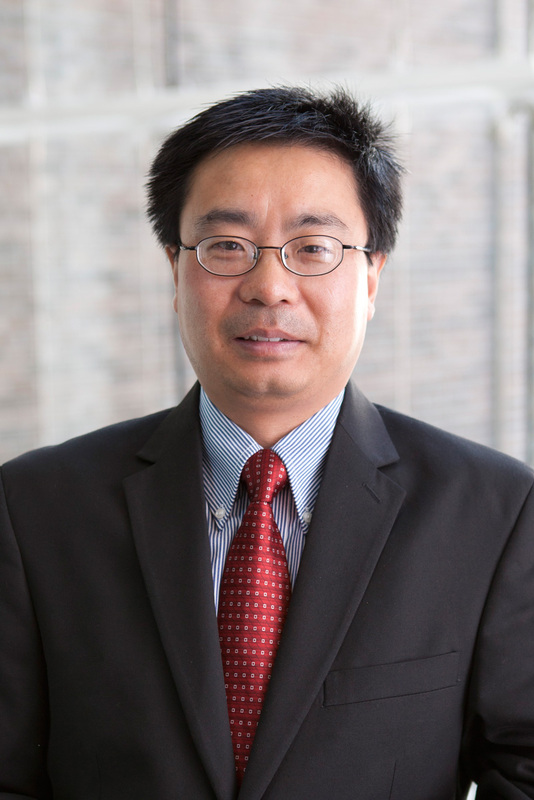 As president for the Chinese Association in Greater Charleston, Wang is helping to organize the association’s Spring Festival. The event takes place Sunday, Feb. 22, 2015, from 1:30 p.m. to 5 p.m. at the James Island Community Education Center, 1000 Fort Johnson Rd., Charleston. Association members receive free admission. Admission for non-members is $15, students – $10, children ages 6-12 – $5, children 5 and under – free. EXPLORE: Study the Chinese language at the College. In my travels and lifestyle, the reason I learn a language is simple: to immediately use it with locals and enhance my cultural experiences. This is not quite the same as many people, who choose their one language to learn based on a long-term investment. A polyglot has many languages to deal with, and this changes things significantly compared to someone with a one-language priority. What this means is at the end of my two- to three-month projects to intensively learn a language for an upcoming trip, I face a crossroad: Should I maintain this language or not? Some people may take a “not” choice completely out of context and feel like the whole experience was worthless. Every language I have learned has enhanced my travels in ways I can’t begin to express. Saying that any one of them was a waste of time ignores the cultural experience that was my priority all along. I’m not passionate about languages, I’m passionate about using them. Maintaining them as described below is so much work that if that passion doesn’t spark a lifelong interest in the language, then I simply will not prioritise it — as a polyglot, I have quite a lot of languages to juggle! This is obviously not the same situation for someone who has learned one foreign language over an extended period of study. A consequence of this is that as much experience as I have in learning and speaking languages — seven of which I can now say I speak fluently — I have plenty of experience too in forgetting languages. I have learned Hungarian, Czech, Catalan, and Tagalog and could converse and socialise in all of them at various levels. But now I can’t. Nowadays, I’d never even list them as languages I can get by in to be honest. But I don’t apologise for this or lose sleep over it. I knew it was going to happen. So what did I do differently with my successfully maintained seven languages compared to those listed above? The “secret” (no surprise) is simply consistently using the language so it is always fresh in your mind. Of course you can come up with lazy excuses why this is not possible, but the truth is you can always find ways to use those languages. Find natives to meet in person via social networks, use certain sites to find people to talk to by Skype, be friendlier with tourists, join clubs and actively monitor your social circle and environment for opportunities to use the language. All of these are ways you can speak your language immediately. To maintain other aspects (reading, writing, listening, etc. ), the best way is by doing them. Listen to podcasts in the target language, read blogs or online news or an entire book in that language, keep in touch with your foreign friends by chatting to them on Facebook or writing them emails; but do this every day. The language will deteriorate in your mind if you don’t keep it active. Having learned it “once” does not mean you now own it forever; use it or lose it! As far as I can tell, there’s only one major disadvantage to my rapid learning strategy: The quicker you learn it, the quicker you’ll forget it. This may sound bad, but it’s way better than the alternative of learning so slowly you have nothing to show for it, ever. If you dive intensively into your language learning project, and reach high conversational level or fluency after a few months, you have to be sure you’re consistently maintaining it until it is a permanent part of you. I found with the languages listed above that within just a few months, I lost the vast majority of my ability to communicate in them — I forgot as quickly as I learned. So if you learned your language over years (actually using it, not simply being present in a classroom for something that could only laughably be called “years”), you’ll be much less likely to forget it as quickly. Spanish is the language I’ve put the most time into, for example, and I’m confident that I could cut myself off from the language entirely for a year and get back into it no problem. I’ve spoken and lived through Spanish so much that it’s burned into me. But the point is I wouldn’t cut myself off from Spanish. Why would I do that? If you genuinely want to speak a language for life, it will always be there for you to use. Even with seven or more languages competing for time with me, I will always give the important ones the time they deserve (what makes a language important depends on you, not some economic, etc., criteria or what someone else says). Even though I’m certainly aware of the danger of forgetting a language quicker due to learning it quicker, I still think this hardly counts as a “disadvantage.” You’ll only forget it if you aren’t using it. This is true whether you learned it quickly or slowly, only the speed of deterioration is different. After I had learned the other languages on my list quickly and intensively, I kept up the good work of consistently using them and will never forget them because of that. The main reason I’ll never forget my current languages and certain future ones I take on, while I will forget others, is because I’m passionate about the former beyond a fixed point in time when they served the purpose of cultural immersion. That one thing, the why that sparked a flame inside me during my experience in the country, means I will never let it go. If you don’t want to ever forget a given language, don’t ever let it go. Make it an important part of your life; reading books and keeping in touch with friends is never a chore, but something that would leave a huge hole in your life if taken away. This article originally appeared on Fluent in 3 Months and is reprinted here with permission. Going to Japan? Here are some Japanese phrases to memorize on the plane. SOME OF THESE JAPANESE PHRASES are practical. Some of them are funny. All 10 will greatly enhance your trip to Japan. Note that all of the phrases are pretty informal, especially the one about crapping your pants. Also, I spell the phrases phonetically in the header, but spell them with the most common romanization of the Japanese characters when explaining a point. Confused already? Don’t worry about it. This phrase means something like, “OK, I’m going for it,” or “I’ll do my best.” A Japanese would say “Ganbarimasu” before taking a test or leaving the house for a job interview. Japanese people will crack up if you say it before walking outside, eating noodles, or using a vending machine. Try saying it before using phrase #8. Saying this never gets old, especially in public places, especially on a first date, and most especially if it’s clearly one of only 10 Japanese phrases that you’ve memorized. When in Southeast Asia, I especially enjoy muttering in Japanese about crapping my pants while walking past Japanese tourists. The reactions are priceless. Where is this? Who am I? I don’t understand anything. This is what you say after failing to use phrase #4 in time. Shall we go to karaoke together? This is a good line to use if trying to pick someone up from the bar. Think of karaoke as a transition point between the bar and the love hotel. “Hontou ni” means “for real” or “really” or “I’m not kidding.” Japanese people are always telling sweet little white lies, so dropping a “hontou ni” from time to time is very much appreciated. Japan is the best. I love Japan. When in doubt, just smile, nod, and repeat. Japanese people love it when you gush about their country. This phrase means, “I’ve never seen a place so beautiful before.” Bust it out at famous attractions and you’ll meet with instant approval. This post was originally published on May 25, 2009. 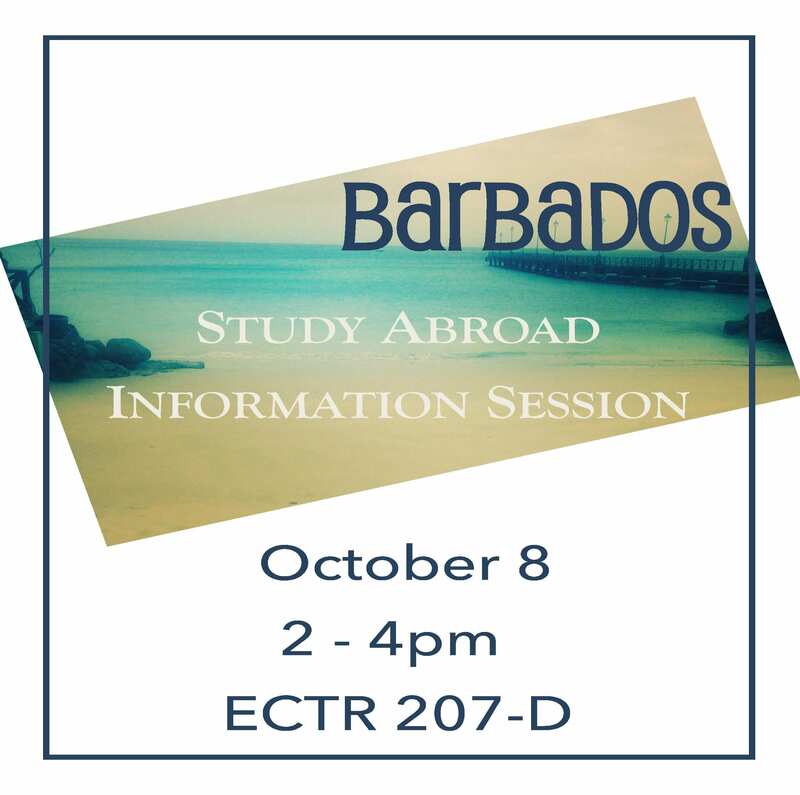 Study Abroad in Barbados! Info Session on Oct 8! 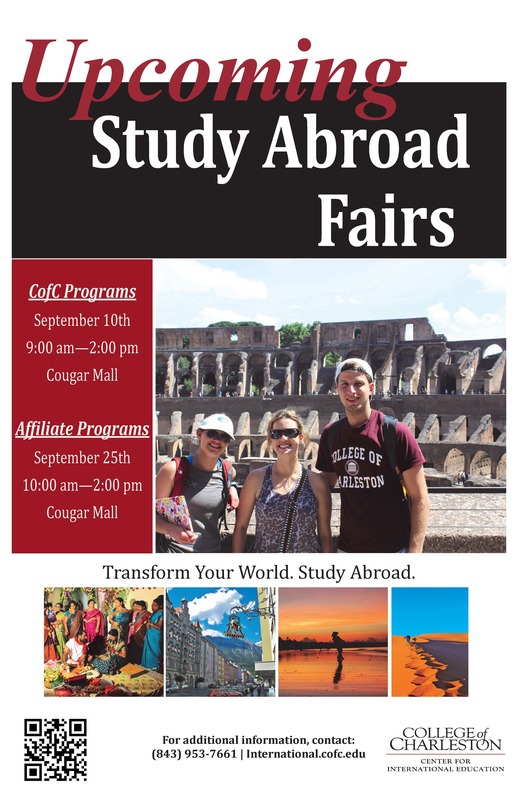 *Representatives from the Charleston Passport Center will be accepting passport applications (new and renewal) during the Affiliate Programs Study Abroad Fair (see attached on details). This service is open to the public!